I'm always on the lookout for a different take on the wet fly. 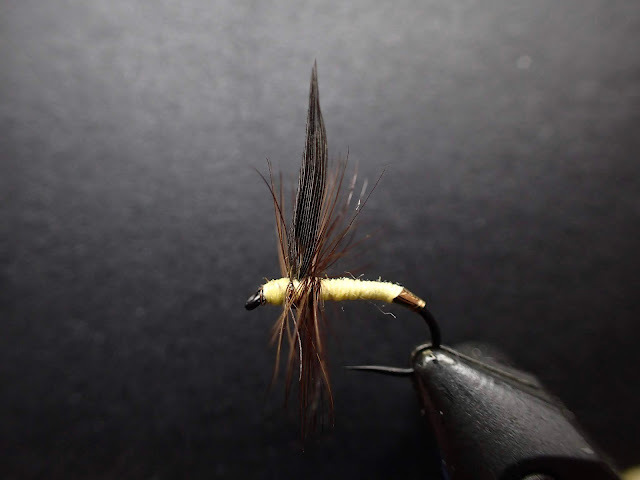 Since I don't fish dry flies very often, I spend most of my time at the vise conjuring up variations of the classics, or tying newer styles of wet flies. 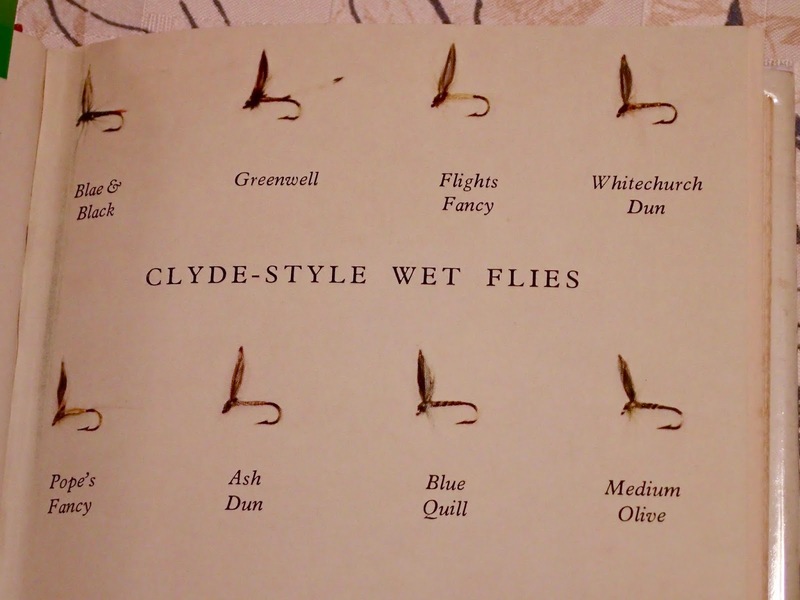 Recently I was made aware of a style of wet fly that I had never tied, let alone fished. This is the Clyde Style wet fly. 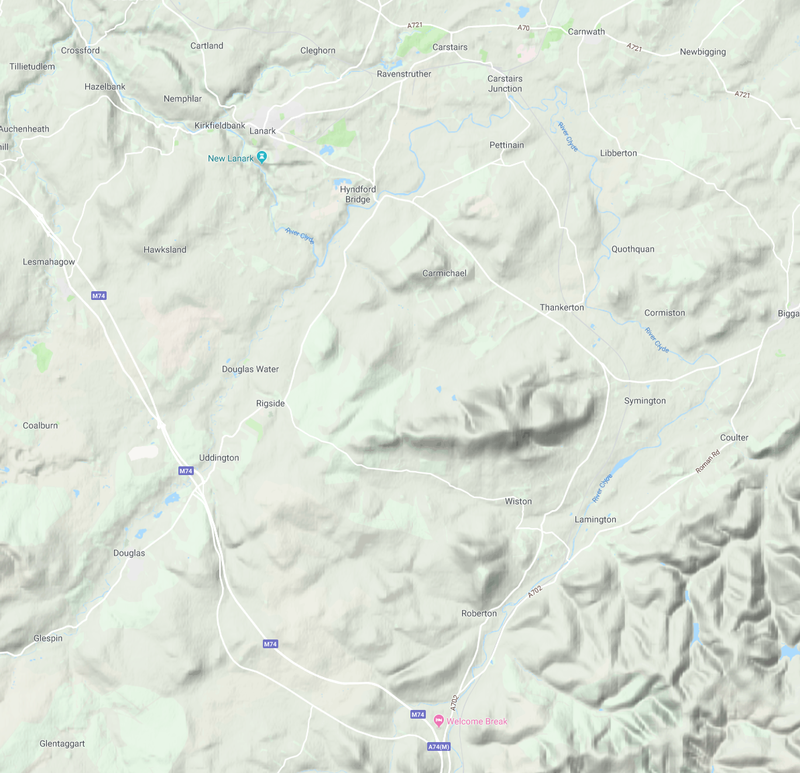 These flies hail from the River Clyde region of Scotland. Although the Clyde is a massive waterway as it courses through Glasgow, further upstream it's smaller and has very good grayling and trout fishing (so I'm told). Part of the upper Clyde. Many of the flies are similar to North Country Spiders, but one style of the Clyde wet fly is unique. 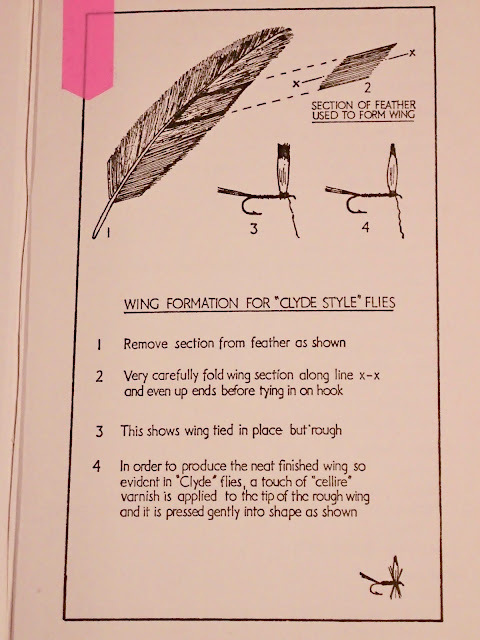 It looks like a dry fly, i.e., stiff hackle and an upright wing. But it's designed to be fished wet, with an upstream presentation. 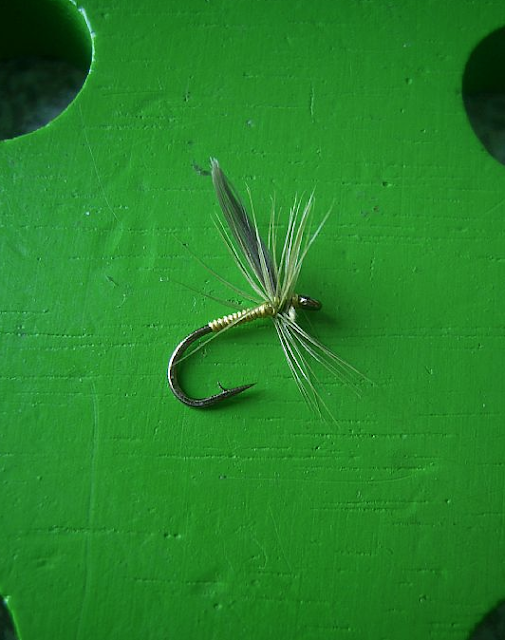 It's a dead drift wet fly; just what I like! I have a book that outlines these unique flies. 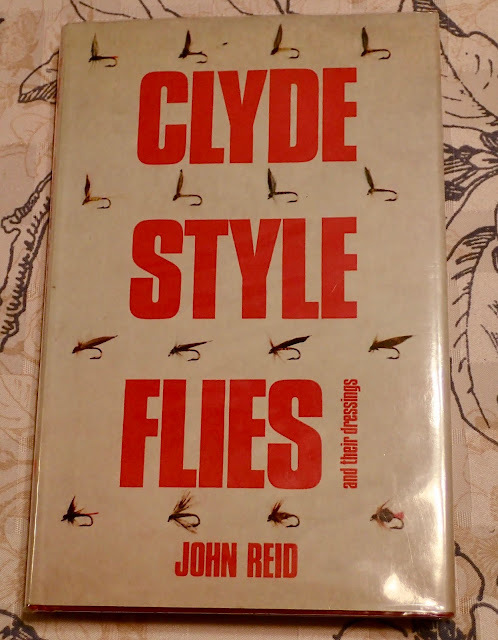 It's called Clyde Style Flies and Their Dressings by John Reid. It was published in 1971. It's not like the newer books on fly tying. The illustrations are archaic by modern standards and the writing is quaint. But it's a historical resource and that's priceless to me. I've tied a few up, in various body styles. I need to decrease my hackle wraps and get better at folding that frustrating wing. I'm excited to try it out on the trout of Idaho and see if they like it as much as their UK cousins. Here is one of my attempts. Can you say PMD? I'll keep working at it, especially that upright wing! Tom I've never seen that style of fly. Sparse and a single wing. I may attempt to tie a few, although they won't be like Davie's.